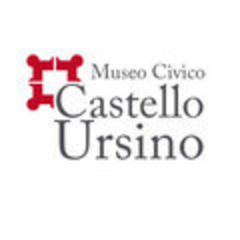 You can admire, in the Ursino castle, examples of arms dating back to the 15th to the 18th centuries, a chronological arc of almost four centuries initiated almost 600 years ago. Around 19 specimens, coming from the Biscari and Benedictine collections, are exhibited in the castle. Their provenience is varied: Germany, Ethiopia, France, and some from the province of Catania. These items are usually placed in illuminated cabinets in the entrance hall of the castle. The light enhances their forms and decorations. The rest of the important arms collection of the Ursino castle is left in the storage because most pieces need restoration. The collection comprises pieces of armors, cold weapons, European firearms and "oriental" arms. From 1470, our collection of swords started to grow and arches, triggers, and plates were introduced in it. The section of the short cold weapons comprises a great number of forms and typologies. The firearms section does not contain numerous examples, but the latter have interesting qualities. Text written by Carola Meli, Priscilla Di Pietro and Samuele Milazzo, students of the 3N class of the Liceo Scientifico Galileo Galilei of Catania for the "Alternanza Scuola-Lavoro" project. Photo by Alessia Forzese.